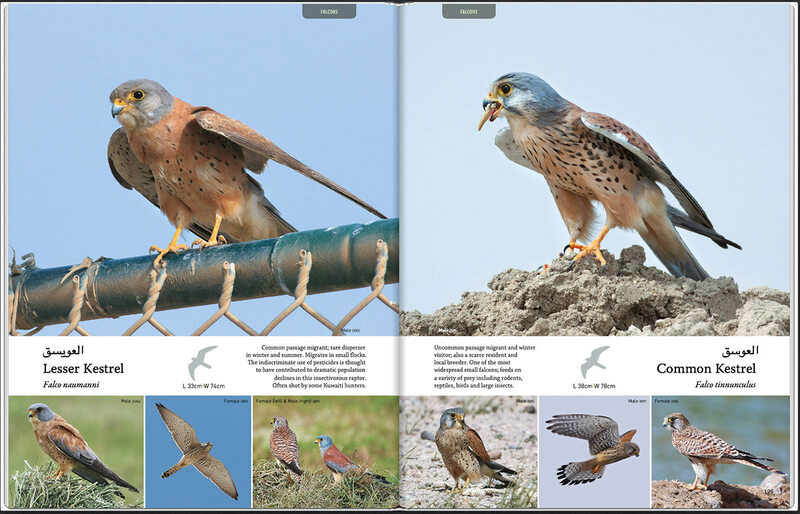 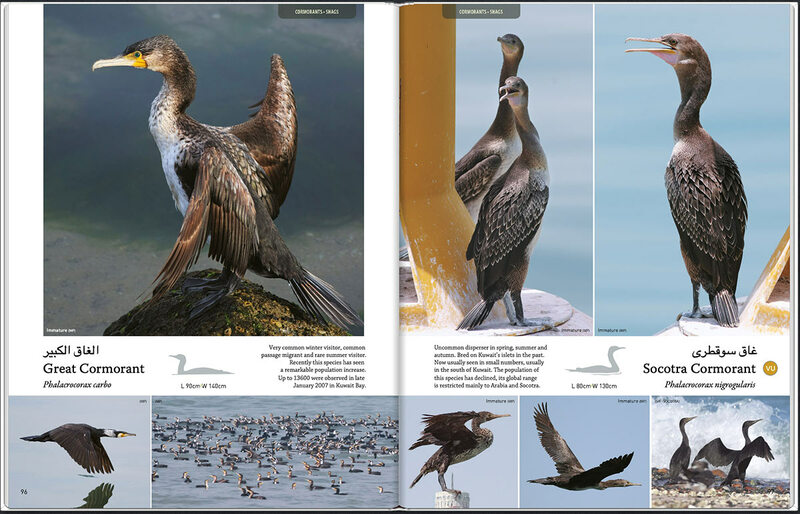 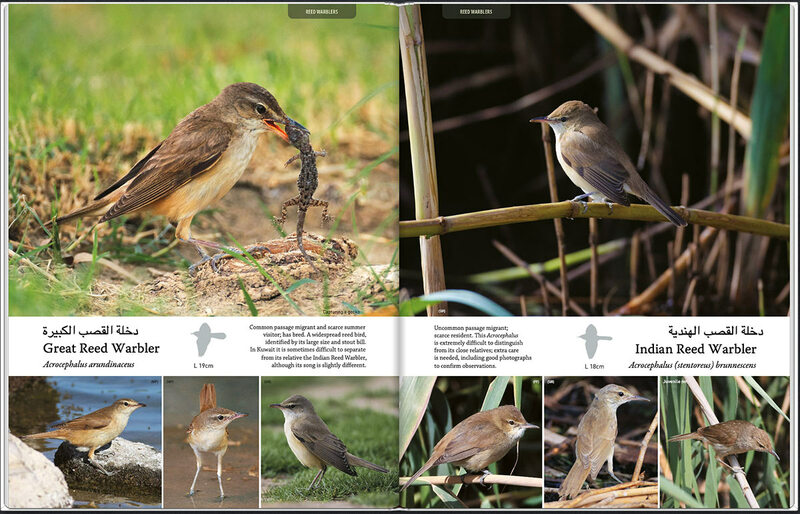 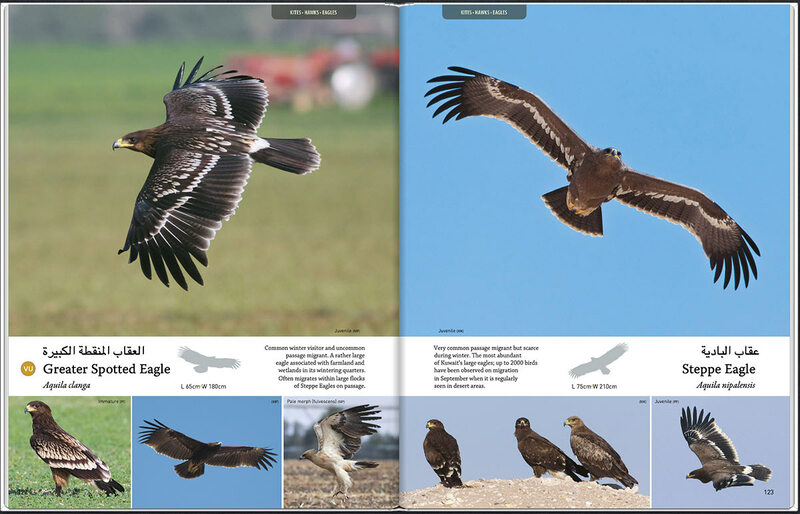 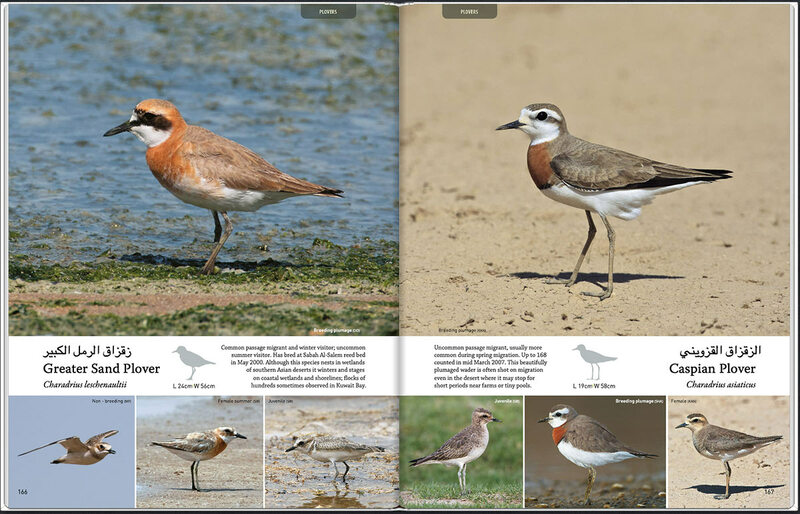 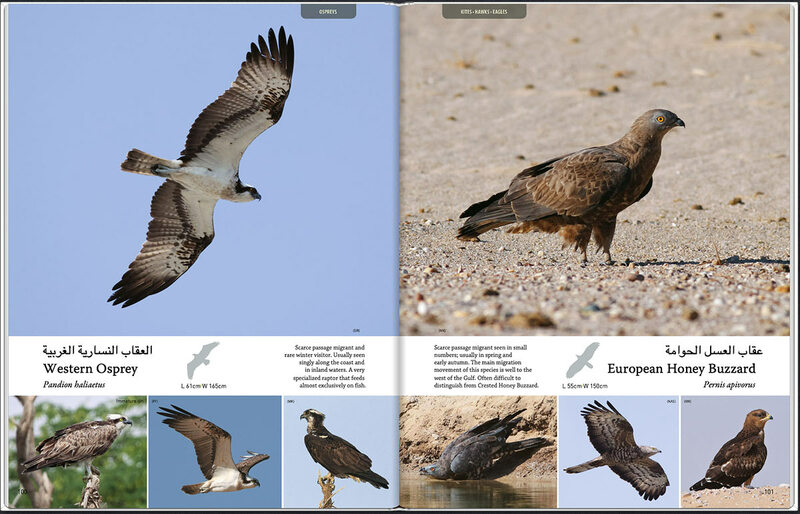 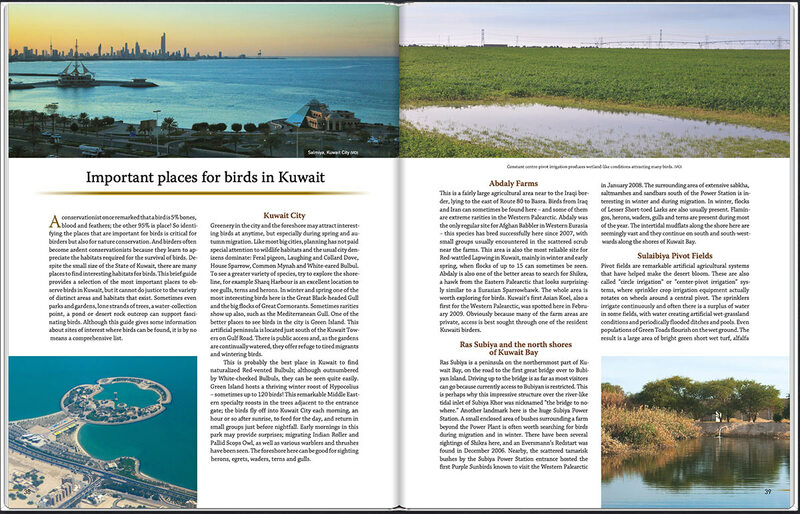 “Birds of Kuwait: A Comprehensive Visual Guide” (420 pages, 24.5x31cm, hardcover). 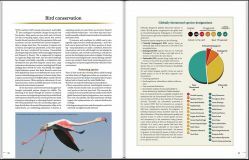 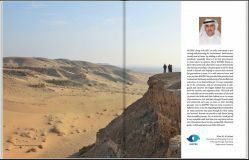 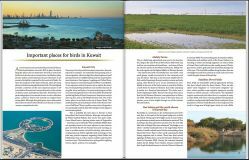 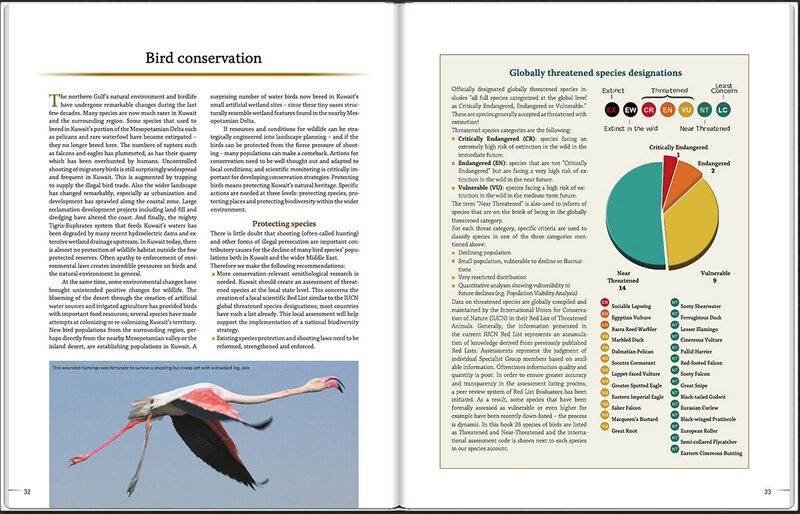 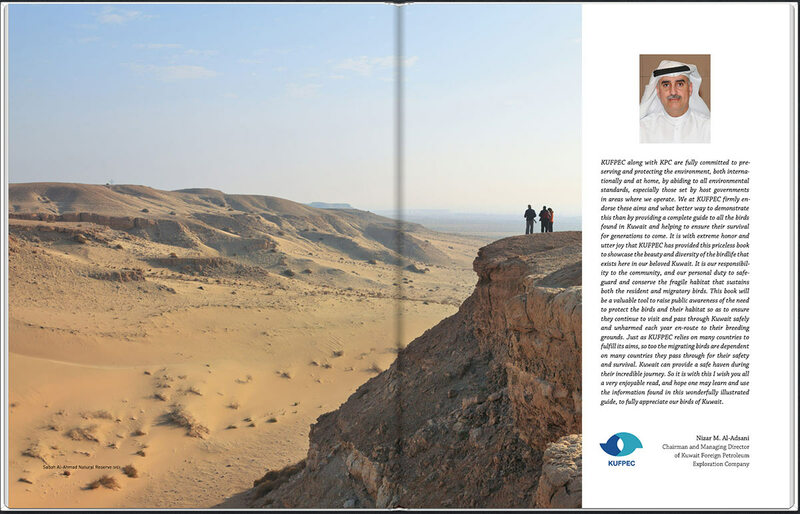 Conceived, approved and published within 9 months, this book aspires to educate both residents of and visitors to Kuwait on the abundant wealth of bird species living in or passing through its territory. 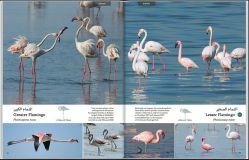 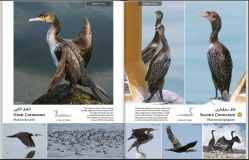 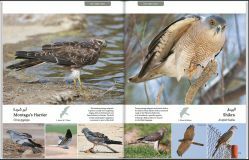 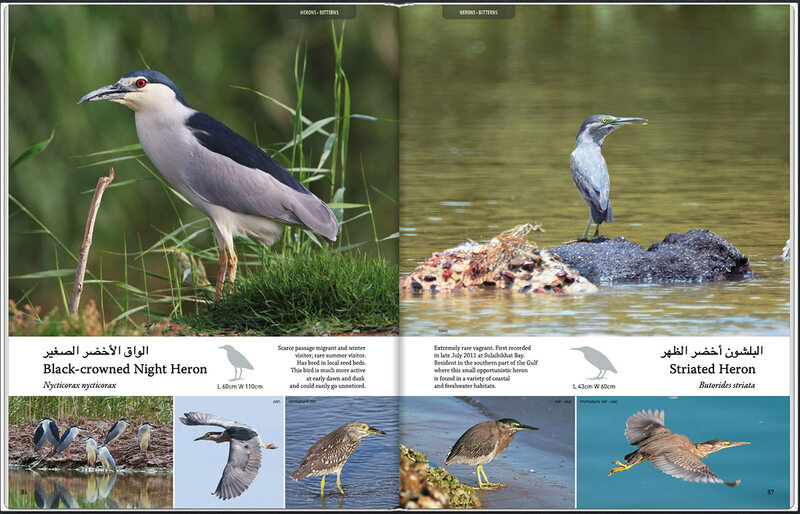 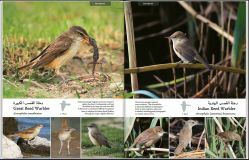 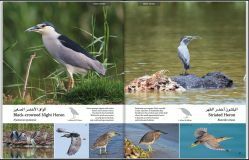 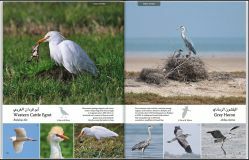 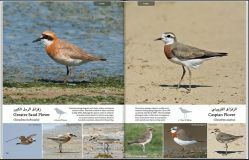 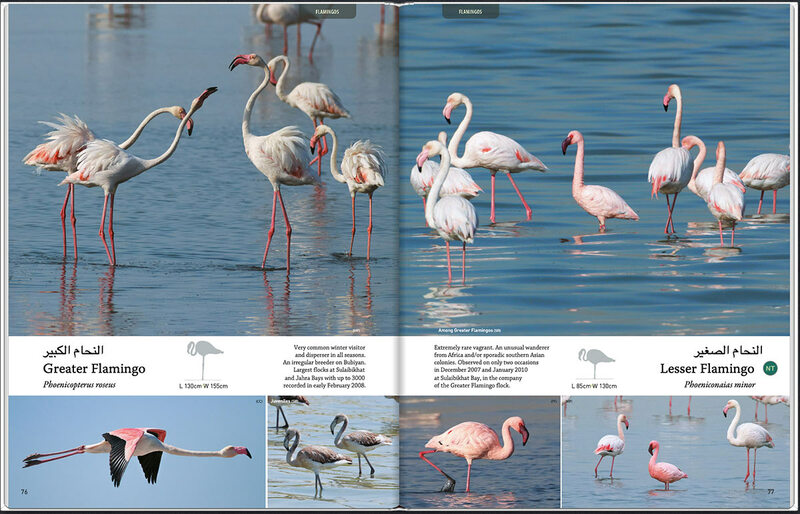 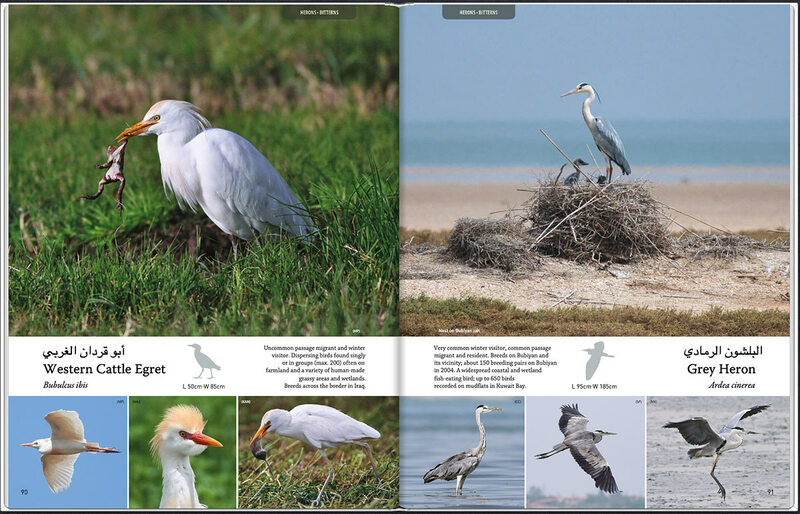 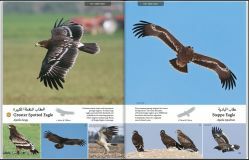 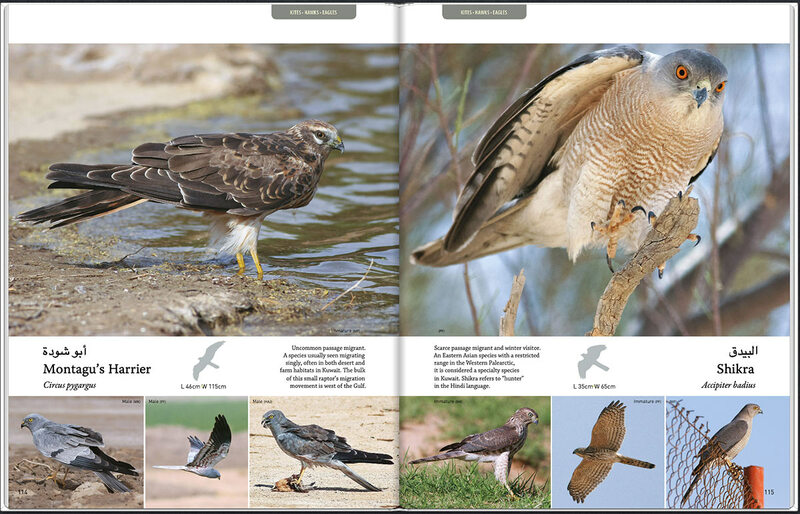 391 species are featured in the book, with 95% of the photographs taken within the country limits, by 18 very talented and dedicated Kuwaiti or Kuwait-based amateur birdwatchers and photographers. 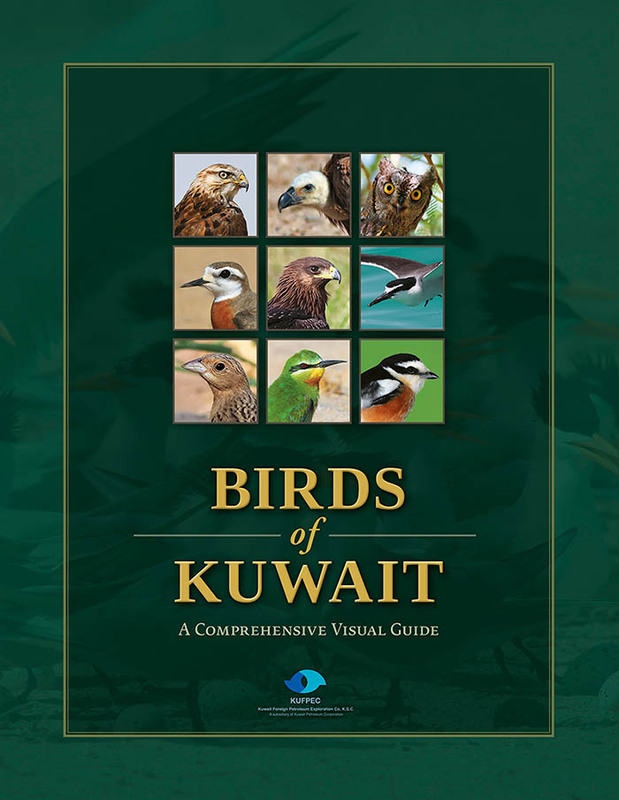 A monument of world class bird photography that combines scientific accuracy in a large-format, luxurious presentation, created in a project funded by Kuwait Foreign Petroleum Exploration Company (KUFPEC).